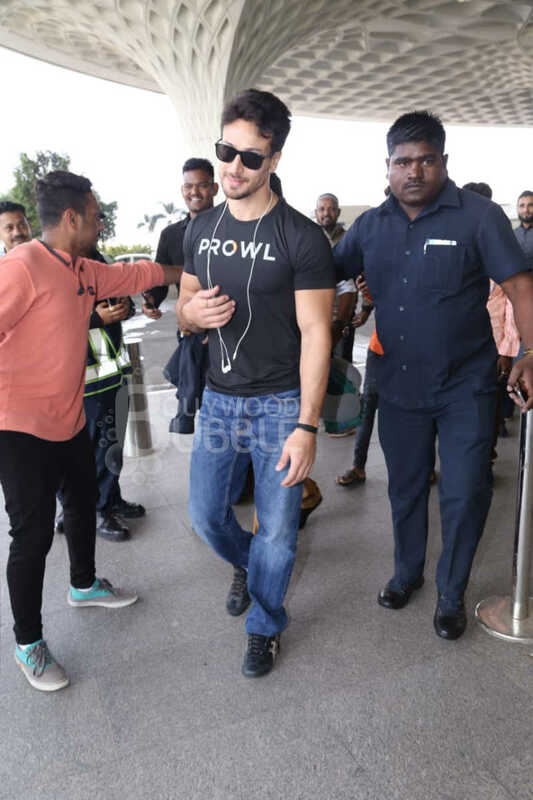 'Baaghi' star Tiger Shroff was spotted at Mumbai Airport. 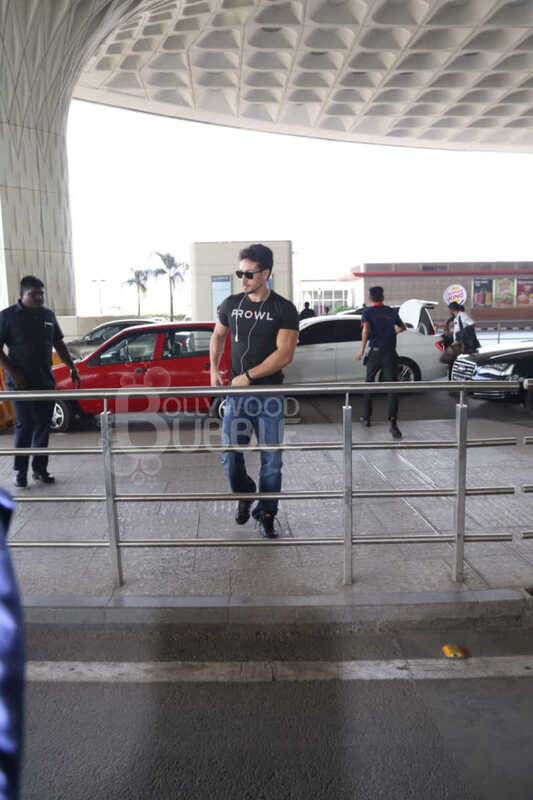 The handsome hunk was seen wearing a pair of denims with a black tee to go with it. He sported a stylish pair of sunglasses and black shoes to go with it. His headphones were held in his hands. The actor known for his flexibility was spotted doing something unusual at the airport. He was seen jumping over the barricades at the airport moments before he boarded his flight. On the work, Tiger is busy with the shooting of 'The Student of the Year 2'. He also has an action film with his idol Hrithik Roshan produced by Yash Raj Films.